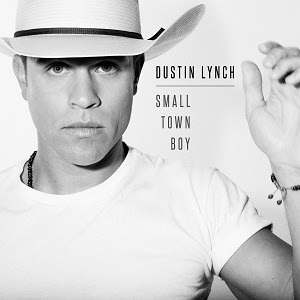 Farce the Music: Single Review: Dustin Lynch "Small Town Boy"
Single Review: Dustin Lynch "Small Town Boy"
Bear in mind that I think Dustin is great. His smile is wide, he does lots of work for charity and he has a clothing range called Stay Country [Editor's note: Oh the irony]. He has a very serviceable voice which is better than, say, Michael Ray or Tyler Hubbard or Chase Rice or Brantley Gilbert. He’s the least rotten of the rotten apples this site loves to chuck on the freeway. Here’s the problem. I hate "Small Town Boy" so much last week that I submitted a thousand-word rant to Farce the Music. It was deemed too bilious to post! With some perspective, I hate the song less this week. But holding it up against other songs on the radio – "Missing," "My Old Man," "The Way I Talk," "Somethin’ I’m Good At," "Heartache on the Dance Floor," "Makin’ Me Look Good Again," "It Ain’t My Fault" (my point is made…), it’s dreck. "Small Town Boy," which will be a number one song on country radio like DL’s other songs, is formulaic, committee-driven, and, if you listen closely to the off-beat, you can practically hear the cash register go KA-CHING. The song is about how Dustin’s lady is attracted a ‘small town boy like me.’ I have no idea what the words ‘I can stick it up, I guess that’s why she can’t get enough’ are doing in the second verse. Maybe she’s so lonely she’ll even take Dustin Lynch. Dustin boasts how ‘she ma cool, she ma crazy, my lay back in the front seat.’ He’s just using images as nouns, which isn’t how English works. I hope people stop using adjectives as nouns. Dustin is my execrable, my torturous, my inane. The music video was released during CMA Fest weekend where Dustin tore it up, entertaining drunken folks who had nowhere better to be. Anyhow, the video has got Dustin canoodling on the sand, sometimes with his hat on, other times with his hat off. Even though it’s a very hot day, the girl is wearing clothes suitable for about ten degrees cooler (maybe she’s dressed for the beach breeze when the sun goes down). I ain’t saying she a golddigger, but gosh darn, Lynchie, maybe it’s because your record company realises you have a commodifiable voice, a stubble-strewn face that looks good in a hat and big pearly teeth. Maybe it’s because you can sell undeveloped ideas like "Seein’ Red" and this one, which are a real regression from "Hell of a Night," "Where It’s At" and "Mind Reader," all massive hits. Shame on Rhett Akins and Ben Hayslip, who did so well with "Mind Reader," but who have turned up a dud with Kyle Fishman here but who will nonetheless earn some corn. It’s not sexist, thank goodness, to boast about being with a girl. In the video, the lady looks like she’s having fun, even if she’s asleep (post-coitally?) at one point. She gets into her beachwear for some frolicking, nicks Dustin’s hat and looks into the eye of the camera like she’s being paid to do. But it seems like a fantasy…unless that’s the point of the song, in which case the Peach Pickers have been too smart. Grady Smith, the writer who currently has a Youtube channel where he gives hot takes on the hottest piles of takes coming out of Music Row, would call this bewilderingly unspecific. Why is he a fistfight, if he’s got such a charming smile? What’s written on DL’s t-shirt that makes her love it so, and what kind of boots is he wearing? If it’s Lucchese, it can rhyme with ‘you wasted an opportunity to put out a great single.’ Must do better, or people will turn off before the commercials hit.